A stunning pink aqua pack flower bouquet that is sure to delight the senses. 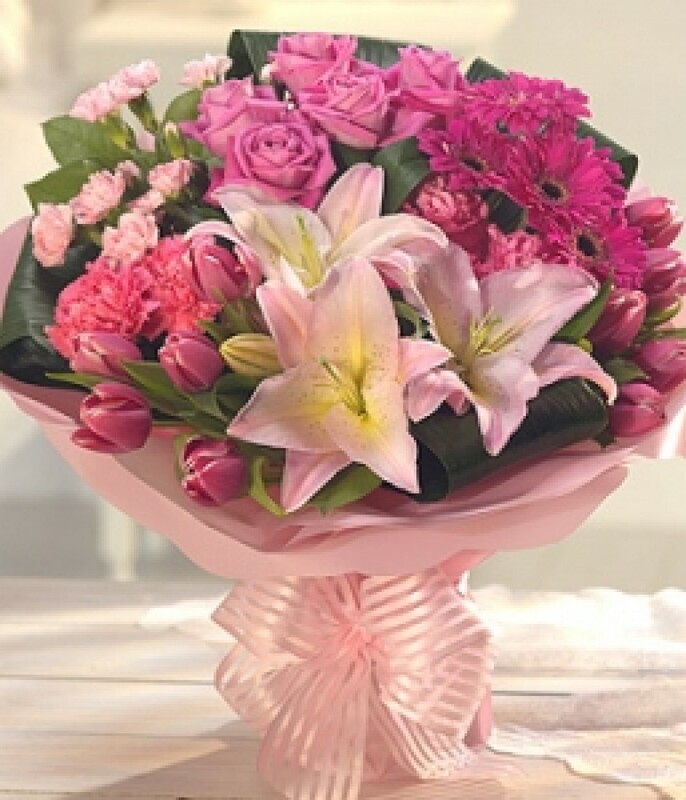 Beautifully fragrant pale pink Roses and Lilies sit perfectly with cerise Geminis and Tulips. Exquisity gift wrapped.